Maryland law enforcement officers take a very strict approach to driving under the influence (DUI), as does Maryland law. The potential penalties involved with a DUI conviction can affect your life for years to come. It’s advisable to get in touch with a DUI attorney as soon as possible after being arrested for this offense. A DUI attorney in Baltimore can safeguard your legal rights during interviews with the police officers, and he or she can provide legal representation during your hearing. 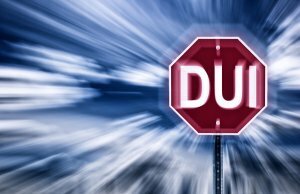 Your blood alcohol content (BAC) is a critical factor in determining whether or not you will face a DUI charge. As your DUI attorney can explain to you, you can be charged with DUI if you’re found to have a BAC of 0.08 percent or higher. In some states, driving while intoxicated (DWI) is considered to be a more serious offense than DUI. In Maryland, the reverse is true. You can be charged with a DWI offense for having a BAC between 0.04 and 0.08 percent. However, if you’re under the age of 21, you can be charged for having a BAC of 0.02 percent or higher. If you’re a commercial driver, the legal limit is 0.04 percent. Another Maryland DUI law your attorney at law can explain to you is the implied consent law. Implied consent means that you are presumed to have already agreed to take a chemical test for driving on Maryland roadways. Refusal to do so can result in administrative penalties. If a law enforcement officer suspects you of being under the influence of alcohol or drugs, you’ll be asked to perform a series of sobriety tests. These might include standing on one leg, walking in a straight line, and answering basic questions. If you fail the sobriety tests, you can expect to be arrested. The officer can administer a chemical test, such as a Breathalyzer test. At the local jail, you should ask for a DUI attorney in Glen Burnie. If you’re convicted of a DUI or DWI offense, you’re facing strict penalties that vary depending on your prior convictions. For each subsequent offense, you’ll face stricter penalties. These penalties include jail time, fines, license suspension, an ignition interlock device, and an alcohol education course. If you expect to file a permanent disability claim in Baltimore, you need the help of an experienced personal injury attorney. Your personal injury attorney can explain the factors involved in qualifying for Social Security Disability Insurance (SSDI) with a permanent disability claim. To be eligible for benefits, you must prove that your injury is severe and disabling, and prevents you from doing your usual work activities. It must also prevent you from adapting to a new type of work. Furthermore, the disability must be expected to last at least one year or to result in death. You can hear more about qualifying for SSDI by watching this video. You’ll learn more about the program, including how the amount of your monthly paycheck will be determined and whether your dependent spouse or children could receive benefits. 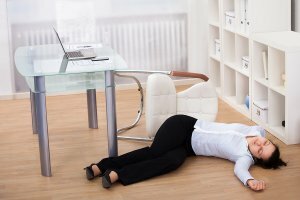 Millions of workplace injuries occur each year in the U.S. Even if you follow all safety protocols, you could be injured while on the job due to circumstances beyond your control. If you suffer a workplace injury, you may be entitled to compensation from your employer. Workers’ compensation law firms serving Baltimore have experience seeking compensation for all types of workplace injuries, including the following. Overexertion and bodily reaction are consistently the top causes of workplace injury. Overexertion injuries may be caused by lifting, pushing, pulling, throwing, holding, or carrying motions. Musculoskeletal injuries are often sustained and commonly affect the back, shoulders, knees, ankles, or multiple body parts at once. For example, a nurse may strain her back while lifting a patient. Bodily reaction injuries occur when a worker slips or trips but does not fall, which can cause muscle injuries and trauma. A worker may slip on a wet floor, trip over an object on the ground, or fall from a height, such as from a ladder, roof, stairway, or platform. Faulty equipment or machinery may be to blame for some falls. As a workers’ compensation attorney will attest, these types of injuries are incredibly common. Factory workers and those who operate heavy equipment are at risk of being struck by, entangled in, or otherwise harmed by machinery. 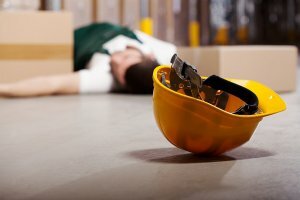 Numerous workplace injuries are also caused by falling objects, such as a tool being dropped from above. Such accidents commonly result in serious head injuries, which may necessitate filing a temporary or permanent disability claim with the help of a workers’ compensation lawyer. Police officers are often injured by violent acts while in the line of duty. Even office politics and arguments have been known to escalate into attacks that cause injury. Employees who drive for business purposes, whether in company cars or their own vehicles, are often involved in auto accidents. If a behind-the-wheel injury was sustained while on the clock, a workers’ compensation attorney can help the victim receive adequate compensation to cover medical bills and days away from work. If you’ve had a great experience with our Law firm then let us know! We want to hear from you! Leave us a review on our Google Plus page! Personal injury law is designed to protect a victim who has been injured because of someone else’s negligence, failure to act, or intentional wrongdoing. If you suffer an injury, you can file a claim with the help of a personal injury attorney serving Anne Arundel County and seek compensation from the person responsible for your losses. For a personal injury claim to be successful, liability and damages must be established. In other words, you must prove that the other party was directly responsible for the damages you sustained, and the nature and extent of any damages must also be proven. Most personal injury cases arise from auto accidents caused by negligent drivers. Broken bones, strained muscles, loss of limb, scars, and disfigurement are commonly sustained in car accidents. Serious injuries may result in lost work days and temporary or permanent disability. An accident attorney will negotiate with the defendant’s insurance company so that you receive fair compensation to cover medical bills, lost income, and pain and suffering. Maryland limits the amount of time in which you have to file a personal injury claim following an incident, so it’s important to contact a personal injury lawyer right away.